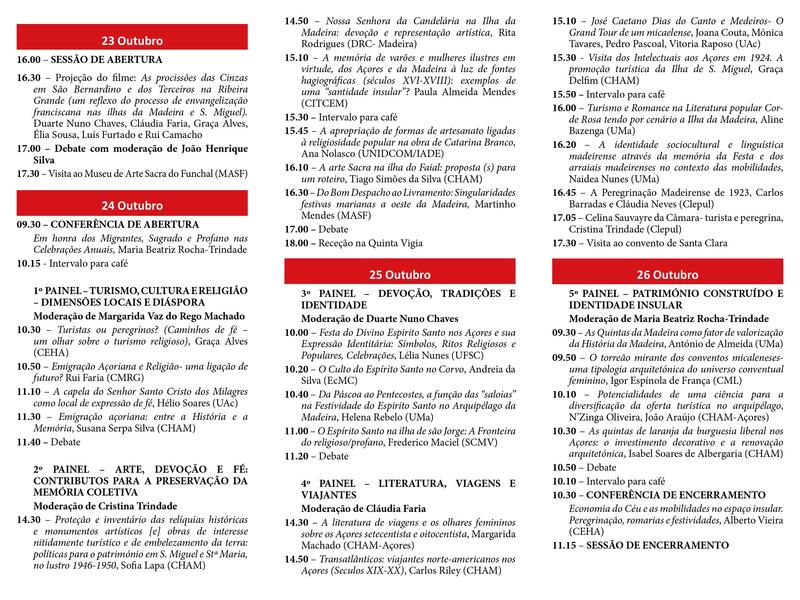 This project has as its main objective, to contribute to the study, development and promotion of tourism resources in the Azorean islands, combining both experiences and historical, cultural and social bonds, with the archipelago of Madeira, spaces that find at the sea a border and simultaneously a point of convergence. The project aims to create the promotion and adoption of extended collaborative strategies between scientific institutions of the two archipelagos. The result of the research implies the creation of perspectives of “promotion and adoption of broad collaboration strategies”, in which the religiosity of the island populations is one of the common factors of identity, allowing a tourism offer adapted to the memory of a set of traditions shared by these two islands Regions. The research includes examining the reality of anthropology and history of the processes of the dressing processional religious sculpture, came from the modern age and that has come to the contemporary, as well as issues relating to its preservation and integration into touristic routes, based on the logic of scripts of faith that contribute as a factor of economic sustainability and local development, stimulated by a tourist industry interested in that the assumptions of cultural heritage does not lose its identity characteristics. Make a review and discussion of concepts of processional dressing within the History of Art, proposing an anorganized ranking plan. Given the previous studies carried out on the use of Religious Sculpture dressing, in São Miguel Island, is to provide an innovative research that can lead to a positive impact in wider scopes of knowledge. From the objectives proposed, it is expected that the study will result in the strengthening of collaborative strategies in these regions, as well as in the creation of linkages between all those who elect the cultural and religious heritage as an area of study, work and leisure. 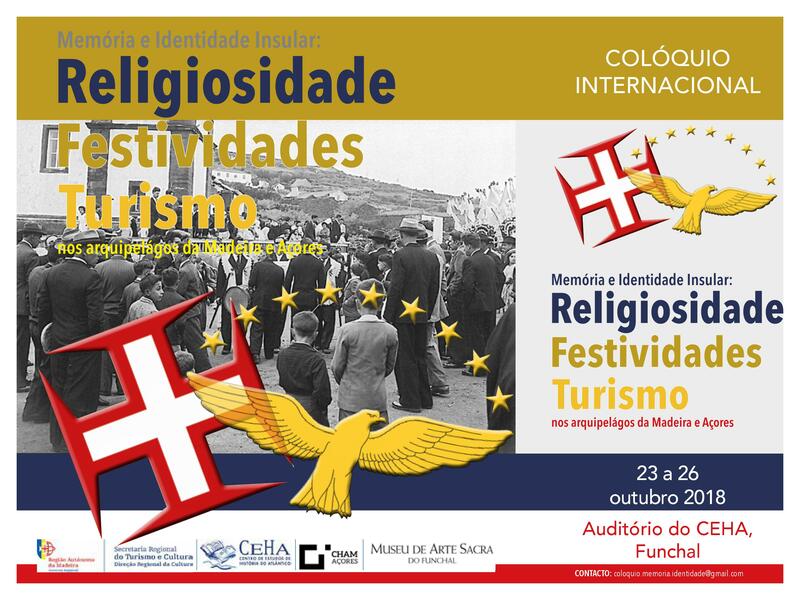 It is intended that the implementation of best practices of tourism in spaces of religious devotion, may contribute to protect the memory of devotional events studied, as well as the processes of identity of island populations, enabling the integration and dissemination of its heritage material and immaterial in extended policies to promote tourism in the regions involved, and their stimulation and study, in addition to a commitment to history, a challenge and a pact of present society to the future generations.